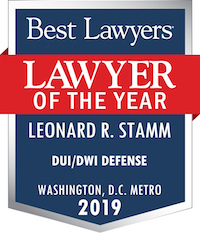 Continuing Legal Education Category Archives — Maryland DUI Lawyer Blog Published by Maryland DUI Attorneys — Goldstein & Stamm, P.A. 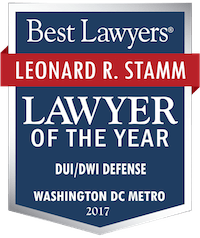 On Saturday, July 25, 2015, Leonard R. Stamm became the Dean of the National College for DUI Defense. At the annual summer session, held at Austin Hall at Harvard Law School (the College is not affiliated with Harvard Law School, it just rents space), before lunch, Stamm gave the Dean’s Address. Also in attendance was Professor Alan Dershowitz, who answered questions about the future of the criminal justice system. The three day summer session featured lectures by Larry Taylor, James Farragher Campbell, Tommy Kirk, Jim Nesci, Joe St. Louis, Mimi Coffey, Paul Homoly, Howard Nations, John Henry Hingson, Scott Joye, Bell Island and Jessica Phipps. Breakout sessions were also held where students were able to refine their skills on opening statements and cross-examination of police officers. 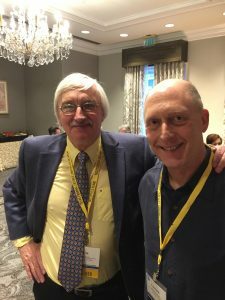 The National College for DUI Defense is holding its summer session at the Charles Hotel in Cambridge, Massachusetts with seminars and breakouts at the Harvard Law School. The session features lectures on: Crafting Your Opening Statement by Denis M. DeVlaming; Handling Injury & Death Cases: Things You Need to Do by Edward L. Fiandach; Out-of-State Licenses: Avoiding Disaster by Jennifer G. Ammons; Impeaching the Breath Test: A Low Budget Approach by Michael M. Hawkins assisted by Anthony D. Palacios; Jury Psychology: Finding Their “Not Guilty” Button by Patrick T. Barone; SFSTs: New Manual-New Opportunities by James Nesci; New Manual-Cross-Examination Demo by Joseph P. St. Louis assisted by Anthony D. Palacios; Cross of Their Extrapolation Expert by Ronald L. Moore; The “Just Say No Case”: Refusals at Every Stage of The Arrest by Donald J. Ramsell; Cross of the Blood Test Technician: A Low Budget Approach by Andrew Mishlove; DUI Defense: Ethics & Excellence by C. Andrew Carroll DUI Complications: Getting Into Canada by Marisa Feil, a Keynote Address Roger J. Dodd, and Dean’s Address by Stephen Jones. This past Thursday and Friday the National College for DUI Defense held its annual winter session in Scottsdale, Arizona. On Thursday, the seminar featured presentations by Robert Hirshhorn on Voir Dire Gems in DWI Cases, Leonard R. Stamm on The Top 20 Guidelines for Bench Trials, Mimi Coffey on Cross Examination (SFSTs) of the Arresting Officer, Virginia Landry on Cross Examination of the Arresting Officer (nonSFSTs), Josh Lee on Blood Testing – G.C. Theory and Issue Spotting, Phil Price on Breath Testing the Twelve Step Approach, Jess Paul on Retrograde Extrapolation, and Ron Moore on Drug Toxicology Strategies & Issues. On Friday, attendees heard from Doug Murphy with a voir dire demonstration, Ava George Stewart with a demonstration of Cross-Examination of the Arresting Officer (SFSTs), Bruce Edge with a demonstration of Cross-Examination of the Arresting Officer (nonSFSTs), Tim Huey with a demonstration of Cross-Examination of the Toxicologist on Retrograde Extrapolation, Michael Hawkins with a demonstration of Cross-Examination of the Breath Test Technician, and Jim Nesci and Joe St. Louis with a demonstration of Cross-Examination of the Blood Test Technician. The National College for DUI Defense (NCDD) just completed its 3 day summer session, held in Cambridge, Massachusetts in the facilities of Harvard Law School. The College’s mission is to educate lawyers to become more proficient in defense of persons accused of drunk driving. The College’s motto is “Justice Through Knowledge.” The session was attended by some of the most skilled lawyers in the country, and featured presentations and workshops of the highest quality. The session exemplified what is best about the legal profession. The session featured presentations by Robert Hirschhorn on jury selection, Leonard Stamm and Peter Gerstenzang on the Top 20 Guidelines for Bench Trials, Mimi Coffey on trial strategy and breath testing, Gary Trichter on the Bill of Rights, Erin Gerstenzang on Ethics, Tyrone Moncrief on the Art of Persuasion and Closing Argument, John Webb and Felipe Plascencia on closing argument, Dr. Sunwolf on Innovations in Jury Selection: Harvesting Skewed Venires; Juiced Jurors; Mental Blind Spots and Perfecting a Challenge for Cause, Michael Hawkins on Cross-Examination – A Performance, Justin McShane on Basic Gas Chromatography for Blood Alcohol Content, and Stephen Jones on The Real Field Sobriety Tests. Workshops were conducted on jury selection and closing arguments. The keynote address was delivered by the Honorable Joseph Johnson. The session was conducted under the auspices of Dean George Stein who turned the reins over to Troy McKinney, the incoming dean, at the culmination of the session. The current slate of officers includes Peter Gerstenzang, Assistant Dean, Stephen Jones, Secretary, and Leonard R. Stamm, Treasurer. Over 160 lawyers were in attendance including Regents not mentioned above James Nesci, Bill Kirk, Don Ramsell, Virginia Landry, Andrew Mishlove, Paul Burglin and Doug Murphy and Fellows James Campbell, F.K. Whited, Les Hulnick, Tommy Kirk, Phil Price, George Bianchi, Doug Cowan and Steven Oberman. This week is the National College for DUI Defense‘s summer session in Cambridge, Massachusetts. We stay at the Charles Hotel and have three days of lectures and break out sessions at Harvard Law School. (We are not affiliated with Harvard Law School but we rent some of their classrooms which are perfectly situated for our program). This year we have some excellent speakers and break outs. Yesterday we had lectures titled First Person Opening by Francisco Duarte, opening statement demonstrations by Virginia L. Landry and Andrew Mishlove, Uncertainty & Science by Ted Vosk, Accident Reconstruction/Reaction Time by Steve Rickard, and Your Expert: How to Direct and Protect by Evan M. Levow & Thomas E. Workman, Jr. We also had Opening Statement break outs where students were able to practice opening statements in a small class setting at get critiqued by instructors while being videotaped. I am one of the instructors. Today we will have Cross Examination Techniques by Roger Dodd. Roger Dodd wrote the book on cross-examination and he was a featured speaker in Maryland at the Maryland Criminal Defense Attorneys’ Association program titled the 8th Annual Advanced DUI Defense Seminar in 2010. Today we will also have demonstrations of direct questioning by William K. Kirk, cross-examination by Michael M. Hawkinsand Donald J. Ramsell, Jury Selection by Doug Murphy. We will also have cross-examination break outs.